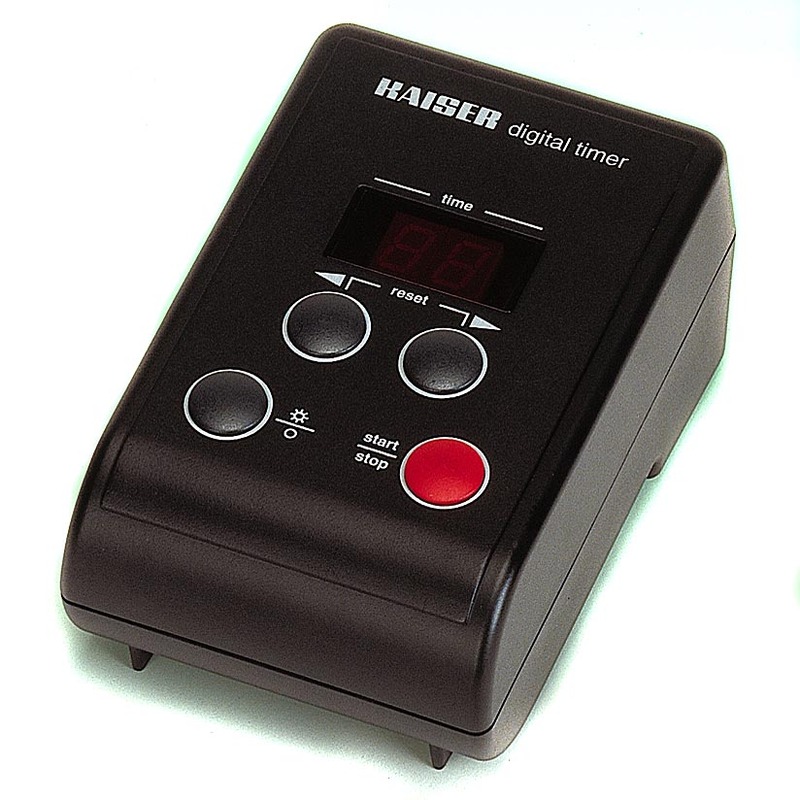 The Kaiser electronic exposure / enlarger timer is a straight forward device for timing print exposures. Switches any enlarger on and off to start and stop exposure (the enlarger is plugged into the timer so the timer can switch on the lamp). Enlarger plugs into timer and timer plugs into wall. 2-digit amber-colored display. Time settings with step-up/step-down keys. Time count-down to zero, then reset to starting time (can be repeated any number of times for exposure series). Interrupt and restart of remaining time, and interruption with direct reset to the set starting time are likewise possible. Focusing light switch. Matt black housing made of impact resistant plastic. Operation by way of four large pushbuttons that can be easily located in the dark.